Although summer is right around the corner (hello backyard BBQ’s! ), the holiday season was in full swing last week at Radio City Music Hall where there were open call auditions for dancers in The Radio City Christmas Spectacular. Échappéing while auditioning for the part of Clara! From 10- to 14-year-old girls auditioning for the part of Clara (the main character in The Nutcracker number) to male and female performers wishing to be a part of the ensemble, we saw almost 500 people at Radio City Music Hall hoping to land a role in our iconic holiday show. 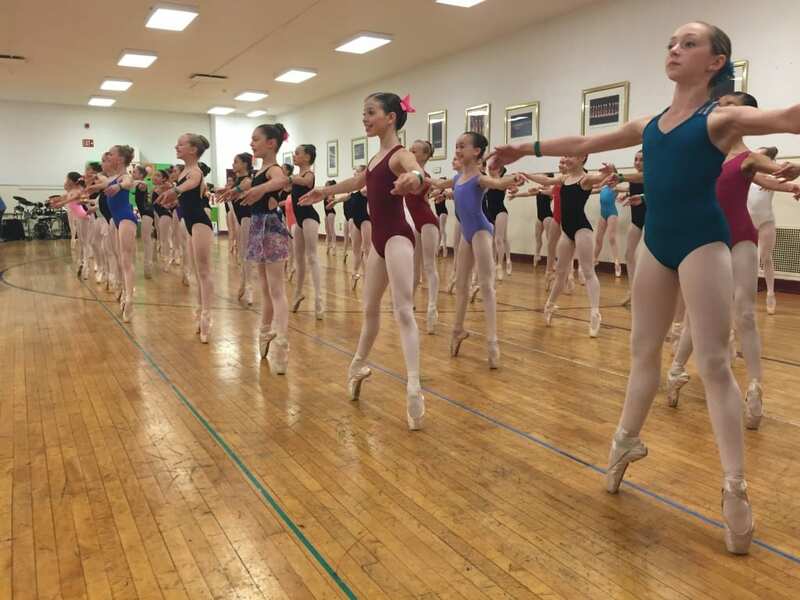 During the hour-long en pointe audition, the group of young girls learned three ballet combos from the Christmas Spectacular, and had to perform in groups of three. 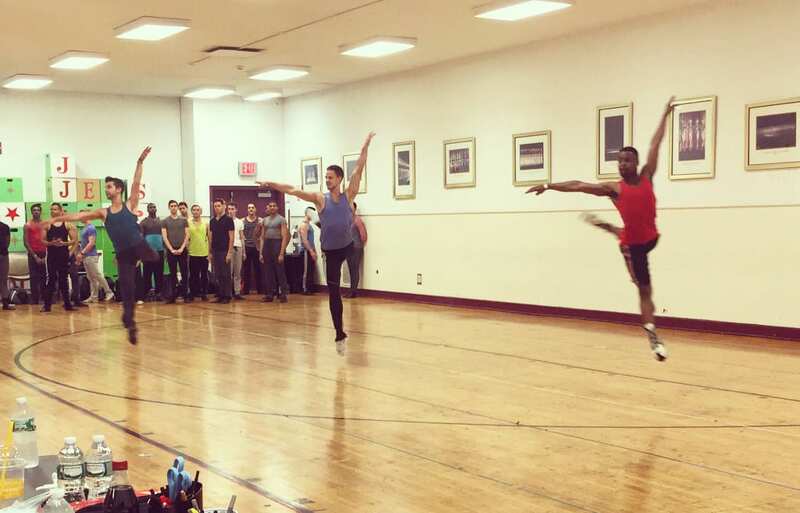 Three-at-a-time for the male ensemble auditions! While the Clara auditions were mainly en pointe, both the male and female ensemble auditions focused on a variety of styles, including ballet, jazz, and “Russian” combinations, as well as a singing portion. Even though there was a lot of new talent at auditions, there were a handful of veterans who are hoping to re-join the cast for this year’s show. 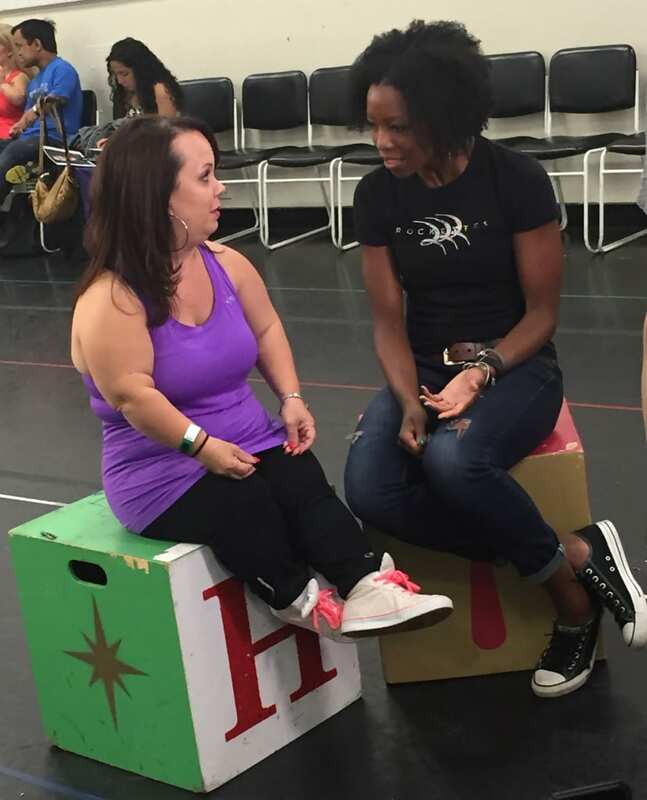 Rockette Danelle chatting with Christmas Spectacular veteran, Kristin. Kristin Zettlemoyer, who stars on Lifetime’s reality series, “Little Women: New York” has been in the Christmas Spectacular for the past 15 years (uninterrupted! ).